An Oregon transportation district is in need of an investment consultant..
An attorney suggests caution as you step through the hoops of the DoL Regs. ..
A Minneapolis RIA has the new DoL regulations to thank for a new deal. 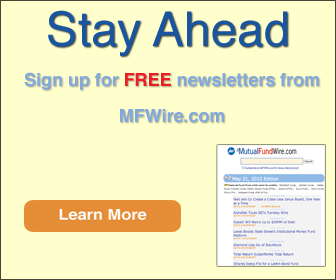 ..
Read up on the latest mutual fund industry product news!.. With hiring of former Huntington exec, fund servicer will grow administrative staff and team for courting fund sponsors as it steadily builds up series trust. ..
Strategic Insight data hints at two Great Rotations..
Zimpleman Says Principal is Set: "Now We Just Need to Execute"
Is Fidelity "Struggling to Find a Sense of Direction" Outside the U.S.? This Michigan-based NRP advisors lands in the top 40 DC advisors of 2009 as one of ten finalists in the large market..
Merrill has taken a new position at a law firm.. The new fund will invest in natural resources and energy.. In a new online webseries, Reish and other professionals will address advisors and TPAs..
A new law firm will give retirement advice to small and medium sized businesses..
One NRP BD member acquires an RIA. ..
A Gotham fund family continues to teach sponsors about their responsibilities under ERISA. ..
A Los Angeles-area broker relocates his home office. This California move works out for everyone. ..
FundQuest's latest white paper outlines a means to provide value for Boomers entering the de-accumulation phase of their lives. But is a product-centered industry ready to listen?.. The charges brought against Park Financial Group Inc., yesterday by the SEC are actually based on provisions in the Patriot Act involving the failure to report suspicious transactions, Business Week reports. The firm is accused of artificially inflating the stock price of Spear & Jackson Inc. securities. This case is now the first ever brought against a brokerage firm involving Partriot Act. ..
An outsourced recordkeeper appoints a new board member to help with growth. .. 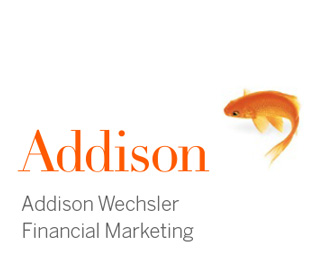 The NASD's education center hopes new research can do for life-cycle investing choices what automatic enrollment is doing for 401(k) contributions. .. AIM Investments said Tuesday its proposal to transform its AIM Floating Rate Fund from a closed-end interval fund into an open-end fund has been given the go-ahead by shareholders. ..
Is Softbank Banking on a 401k Sale? Alliance Capital reported a decrease in assets under management during the month of March.. When Is a Trade Late? Spring fever? Maybe. Speculation that the 401k advisory firms are planning IPOs is sweeping the industry even if their business is not. .. Yet another 401k provider is utilizing Pyramid Digital Solution's systems to access SunGard's OmniPlan. ..
Fund firm give aways! ... Long-Term not paying rent, seeking new digs? ... and more. ..